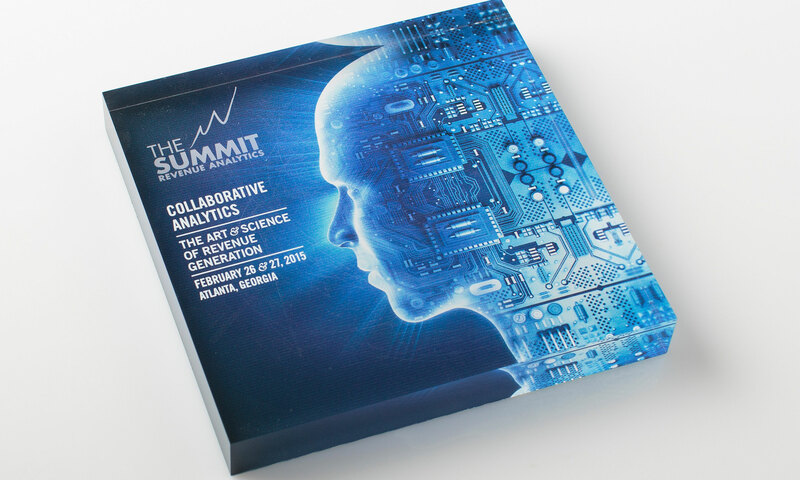 The planner for Revenue Analytics’ annual summit chose a 1″ thick acrylic with a motherboard image printed on the back and their logo and event printed on the front. 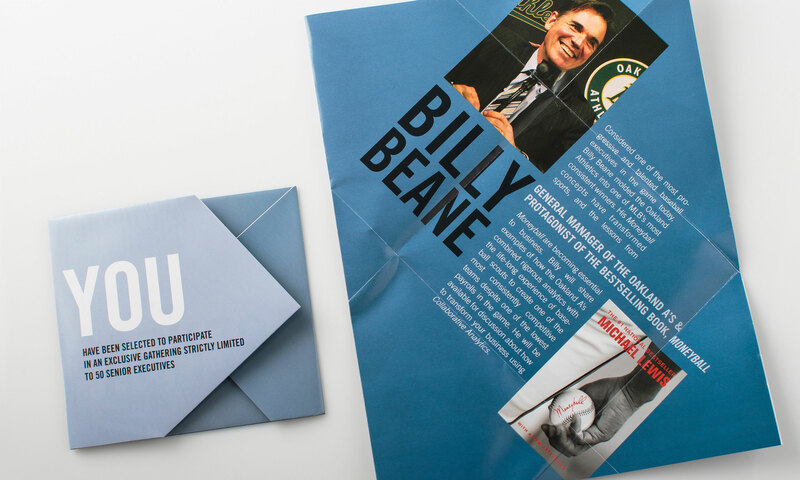 We created a custom mailer with a pocket for an origami-like poster that unfolded to reveal details about the speakers and agenda. The ‘by invitation only’ event is for top business leader across the country.